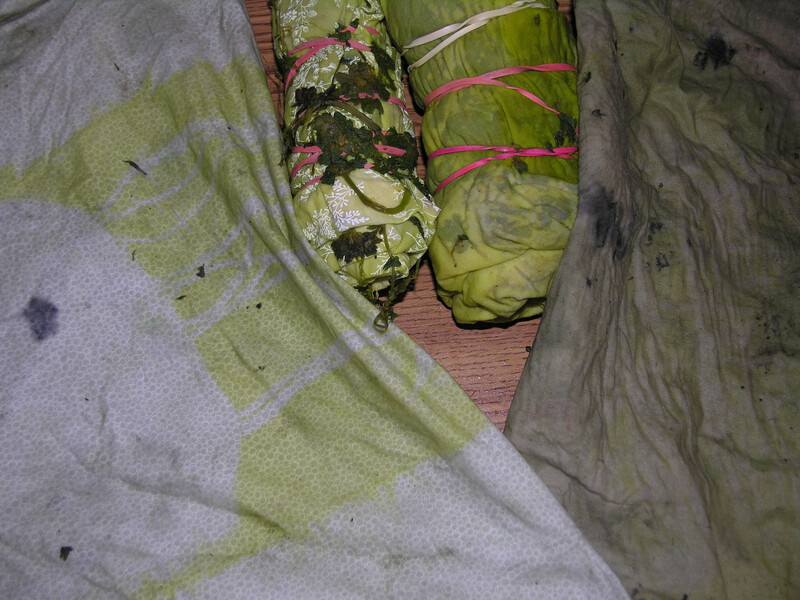 Deadnettle Day 2 Dyeing – Pickle Juice! 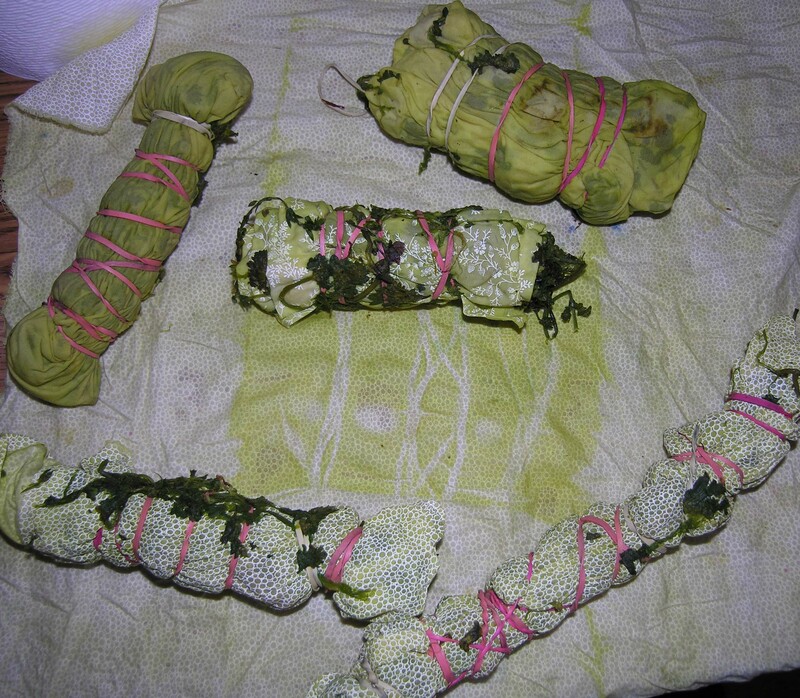 Above are the bundles from soaking overnight in the dye pot. Ron unwrapped one that was a white on white print. Because the print is vinyl, it never takes dye. You can see the top two are on plain muslin and took the dye well. The next step was to add iron mordant to the pot and add some of these back in. Amazing color shift. It even made some of the imprints from the plants stand out that you can see in the fabric on the right. We left 2 bundled fabrics in the pot and will take them out tomorrow. Oh, it doesn’t smell like mint in the dye room. It smells distinctly like dill pickles! Which is really what the color of green looks like…pickle juice!